NEW YORK TIMES LENS BLOG: There aren’t that many South Dakotans, What characteristics contribute to South Dakota-ness? REBECCA NORRIS WEBB: This month is the 40th anniversary of the Rapid City flood, the fifth worst flood in the nation’s history that claimed 238 lives. Besides this rare flash flood, South Dakota blizzards, hail storms, and brutal winds are the stuff of legends. I’ve yet to meet a South Dakotan who hasn’t been humbled at least once by the weather. NYTLB: You’re a New Yorker now. How are Dakotans different from New Yorkers? RNW: Remember waking up during those New York City blizzards of January 2011, when all you’d hear was the muffled sound of snow falling? Remember how the whole city seemed to be moving in slow motion? That sense of being dominated by the weather is a little like what it feels to be a South Dakotan. 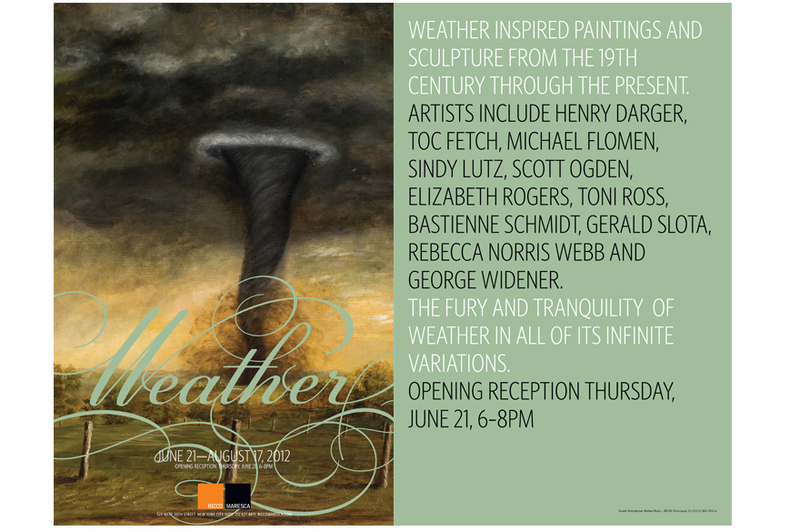 ––THURSDAY, JUNE 21, RICCO MARESCA GALLERY, NY: “Weather,” a group exhibition with a selection of photographs from MY DAKOTA, 6-8 pm. The exhibition runs through August 17. 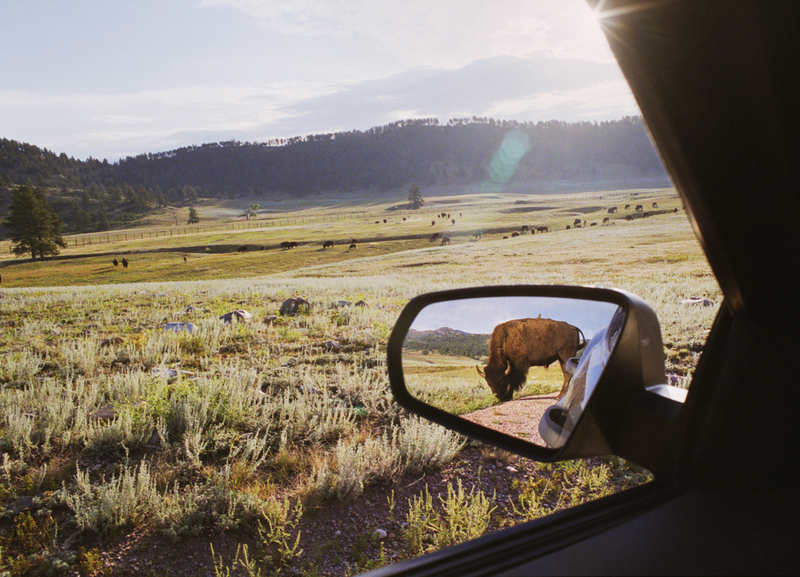 ––JUNE-SEPTEMBER 2012: Launch of OUR DAKOTA Flickr site, an online photographic community This Flickr group is open to all photographers 15 and older with a present or past connection to South Dakota. Here is the link to the first assignment. There will be three assignments posted during the course of the “My Dakota” exhibition at the Dahl, and the group will culminate in an “Our Dakota” slide show to be show both at the SD Festival of Books in Sioux Falls the last week in September 2012 and at the Dahl Arts Center in Rapid City on Friday, Oct. 5th, at 7pm. 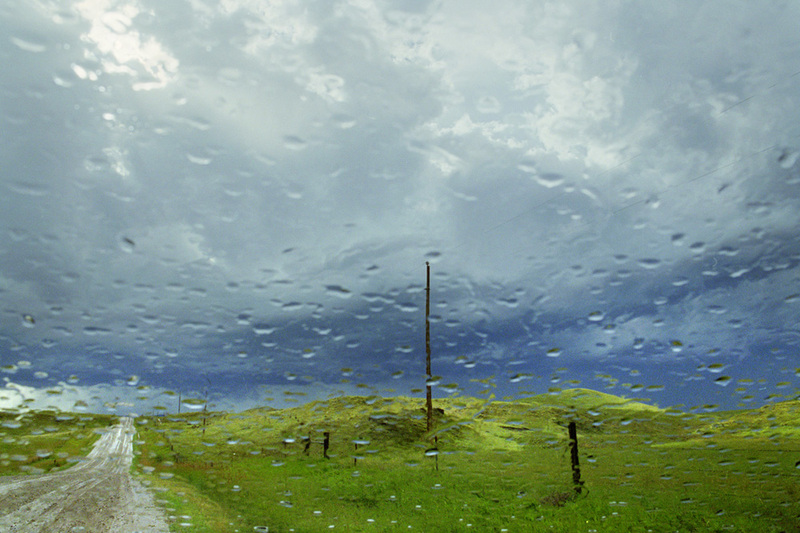 ––TUESDAY, AUGUST 7TH: “Slide Talk with Alex Webb and Rebecca Norris Webb” at the “My Dakota” exhibition at the Dahl. 11:30-12:30pm. Brown bag lunch event in the Ruth Brennan Gallery. Free and open to the public. Rapid City Journal article about “My Dakota” written by Deanna Darr in the “Black Hills 2 Go” weekend section. 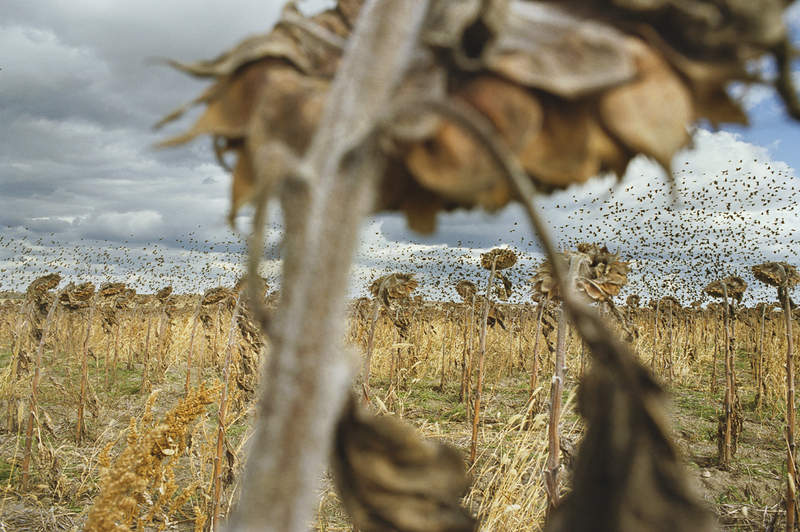 TUESDAY, JULY 7-8pm:“Together and Apart: The Photographs of Alex Webb & Rebecca Norris Webb,” Schermer Hall, Anderson Ranch Campus, Snowmass, Colorado. Q&A with the Webbs and book signing of “The Suffering of Light” and “My Dakota” to follow. >Friday evening, Oct. 5, thru Sunday, Oct. 7 pm: FINDING YOUR VISION WORKSHOP @ THE DAHL, Rapid City, South Dakota. Discount for members of the Dahl Arts Center. Sunday, Oct. 21st through Sat., Oct. 27th, 2012: PROJECT WORKSHOP 2012 @ CAPTION GALLERY, DUMBO, BROOKLYN. A small intimate workshop where participants spend a week editing and sequencing a long-term project, working on the text for it, and working with a designer on a cover. There will also be presentations about bookmaking including one by a photo book editor or publisher. Former students are invited to apply, but other photographers will be considered as well. This small workshop is almost full, so please contact Rebecca as soon as possible if you are interested: rebeccanorriswebb@yahoo.com. Alex’s interview with Geoff Dyer at the LOOK3 Photography Festival featured on The New York Times Magazine’s blog, THE SIXTH FLOOR. –Link to “My Dakota,” which was recently featured on the New Yorker Photo Booth blog. 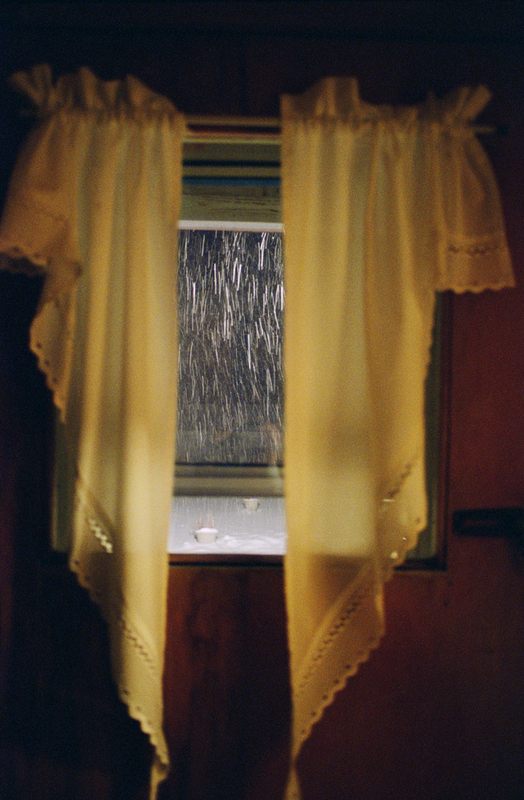 –Link to “Weather” mentioned on Elizabeth Avedon’s blog. 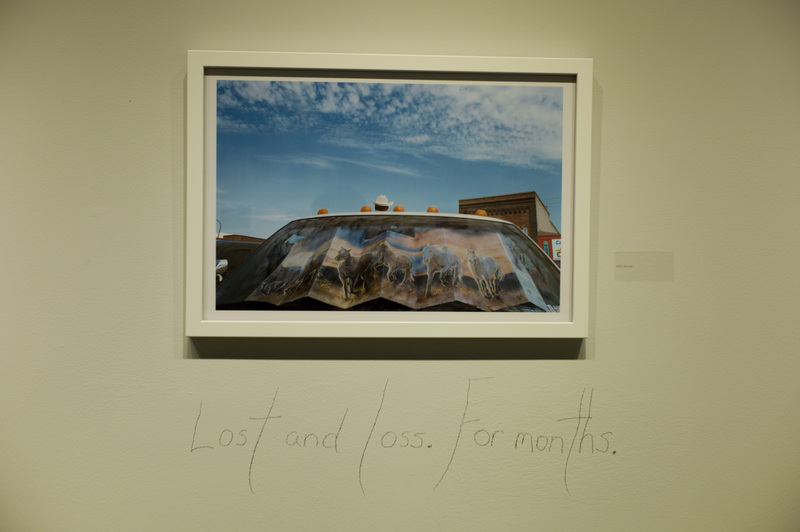 –Link to “My Dakota” at the Dahl Arts Center in Rapid City, June 1-Oct. 13, 2012. –Link to “My Dakota” on Aperture’s Exposures blog. Alex’s recent work on Treece, a toxic U.S. town, in The New York Times Magazine. 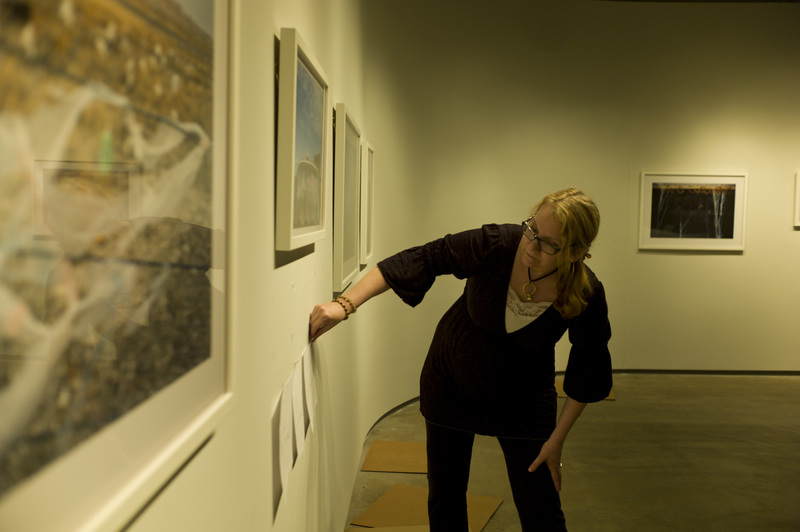 To read the Robert Klein Gallery Tripod Blog Q&A with Rebecca. Read more about Magnum’s House of Pictures project in the New Yorker and see Alex’s photo of the day, April 24th. Alex’s “The Suffering of Light” exhibition at Forma, Milan, featured in Italian Vogue. In this land of flash floods and blizzards, hail storms and brutal winds, it’s rare to meet a South Dakotan who hasn’t been humbled by the weather. All I remember for sure is that we were one of the last cars left on the road that Christmas Eve, that the sun was setting, and, that, all of a sudden Mary’s old car rolled to a halt. We looked at each other –- pre-med student to poetry student –– in the rapidly dimming light, both of us too afraid to say what was really on our minds –- if we didn’t make the right decisions now, enough exposure to such bone-chilling temperatures could lead to the loss of fingers or toes, and lengthy exposure could be lethal. Did I mention this was before cell phones? I was the older, but Mary was the physically stronger of the two of us. Who would stay and who would venture out for gas? And exactly how far away was the gas station? It seemed only a few minutes ago we’d filled up — and Mary, more the scientist than I –– was probably the first one to suspect that water in the gas from Wall was to blame for the car’s freezing up. Could it be, however, that we’d actually been driving more like 10 or 15 minutes since the Wall gas stop –– and , if so, just how many miles would that turn out to be? –“My Dakota” Q&A with Rebecca and Jim Estrin on the New York Times Lens Blog. ––TUESDAY, AUGUST 7TH: “Slide Talk with Alex Webb and Rebecca Norris Webb” at the “My Dakota” exhibition at the Dahl. 11:30-12:30pm. Brown bag lunch event in the Ruth Brennan Gallery. Free and open to the public. 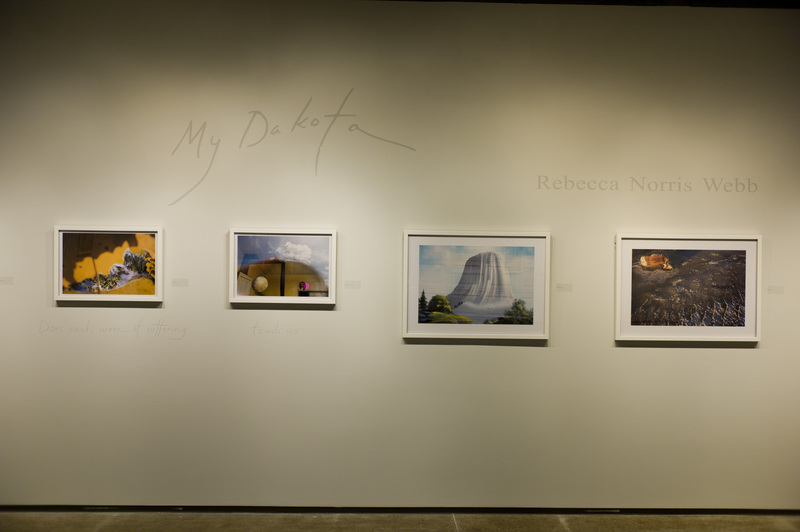 It felt right that the first exhibition of “My Dakota” opened in the Black Hills of South Dakota where I grew up. So many friends — both old and new — showed up, including Ruth Brennan, the former Dahl director whom the gallery was named after where “My Dakota” is currently on exhibit. Ruth is an amazing, dynamic woman who was the driving force behind the creation of this wonderful museum and performing arts center in Rapid City. Link to “My Dakota,” which was recently featured on the New Yorker Photo Booth blog. Link to “My Dakota” at the Dahl Arts Center in Rapid City, June 1-Oct. 13, 2012. ––JUNE-SEPTEMBER 2012: Launch of OUR DAKOTA Flickr site, an online photographic community This Flickr group is open to all photographers 15 and older with a present or past connection to South Dakota. There will be three assignments posted during the course of the “My Dakota” exhibition at the Dahl, and the group will culminate in an “Our Dakota” slide show to be show both at the SD Festival of Books in Sioux Falls the last week in September 2012 and at the Dahl Arts Center in Rapid City on Friday, Oct. 5th, at 7pm. 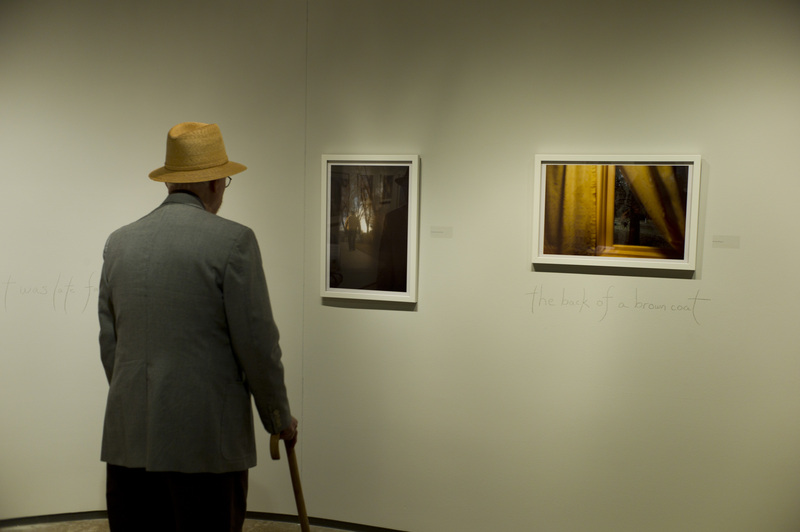 ––TUESDAY, AUGUST 7TH: “Slide Talk with Alex Webb and Rebecca Norris Webb” at the “My Dakota” exhibition at the Dahl. 12-1pm. Check the Dahl website midJune for more details about this free event. TUESDAY, JULY 7-8pm:”Together and Apart: The Photographs of Alex Webb & Rebecca Norris Webb,” Schermer Hall, Anderson Ranch Campus, Snowmass, Colorado. Q&A with the Webbs and book signing of “The Suffering of Light” and “My Dakota” to follow. Rebecca and I are very glad to be in Rapid City, South Dakota, for the opening of her “My Dakota” exhibition at the Dahl Arts Center. As one can see in these installation shots, Rebecca is echoing the form of the book through writing some of her text pieces directly on the wall. With this exhibition and book, Rebecca has managed to create something of poignant beauty and poetic resonance out of a family tragedy –– her brother’s untimely death. So this opening is particularly special because Rebecca’s father and mother, aged 92 and 85, are coming to the opening. 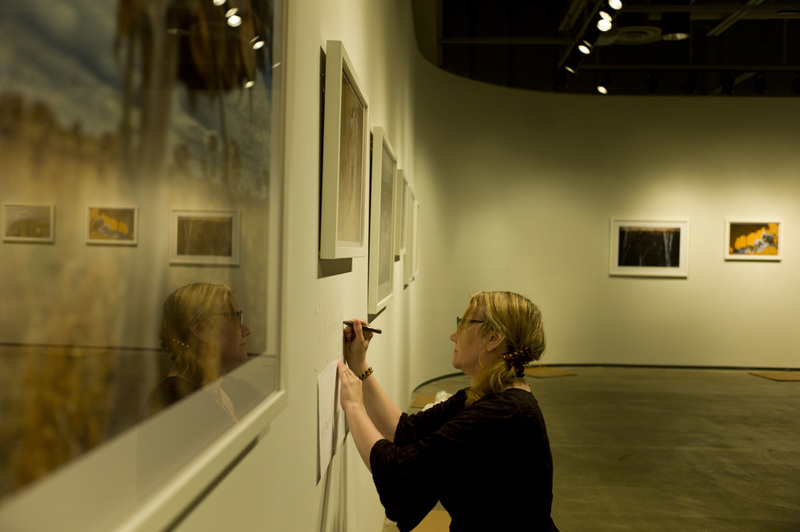 ––FRIDAY, JUNE 1, RAPID CITY, SOUTH DAKOTA: “My Dakota” exhibition opening and book signing, Dahl Arts Center, 5-7pm. The exhibition will run until October 13, 2012.